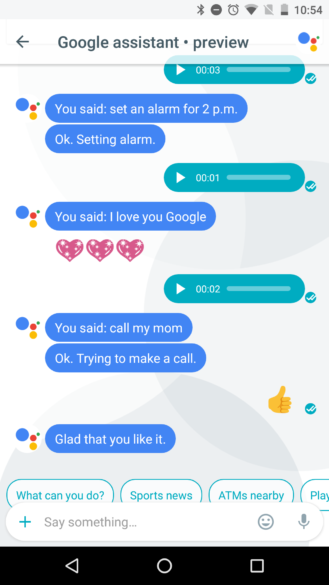 Whenever you're chatting with Assistant, you can type a question or, even better, tap the microphone and record a voice message like you would in any other Allo chat. 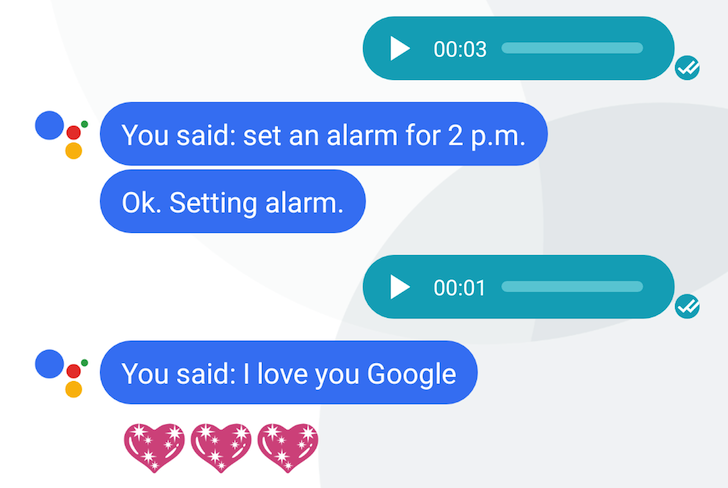 Assistant will transcribe your message into text first: "You said: [voice message]" and then proceed to answer you right away. This works for everything you may think of: regular searches and OK Google commands (no need to actually say "OK Google" here). 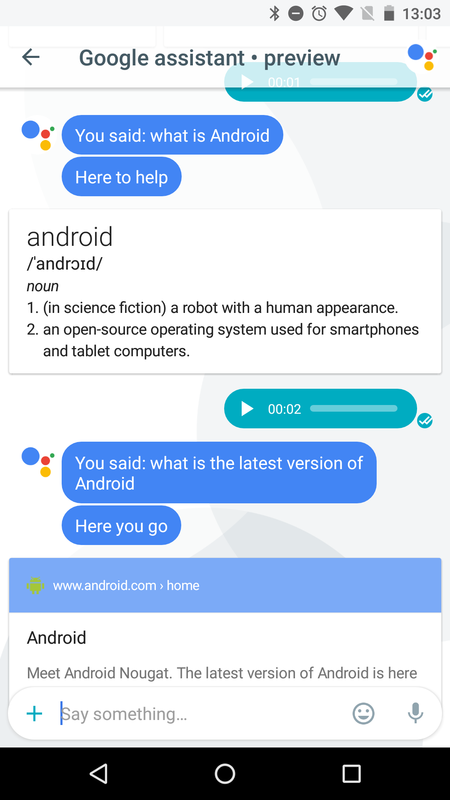 It makes even more sense when you think about it as talking to an assistant. 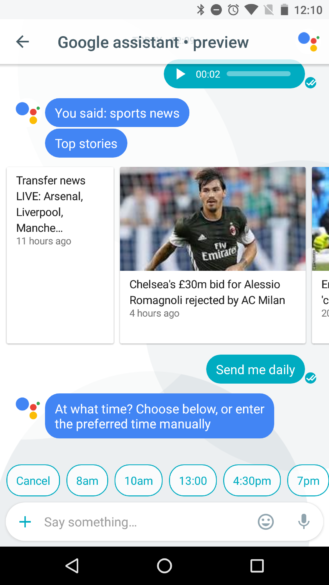 And it's fantastic for one very important reason: in some (admittedly limited) testing, the "Can't reach Google at the moment" or "Can't load search results" errors were nowhere to be seen. 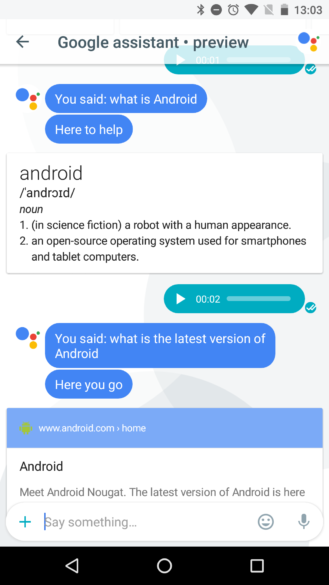 Depending on your connection's speed and the servers' load, the voice message will be sent to Google instantly or in a few seconds, and you will get your answer, again, instantly or in a few seconds. Even if you're offline when you send the voice message, it'll be delivered to Assistant when you connect again. 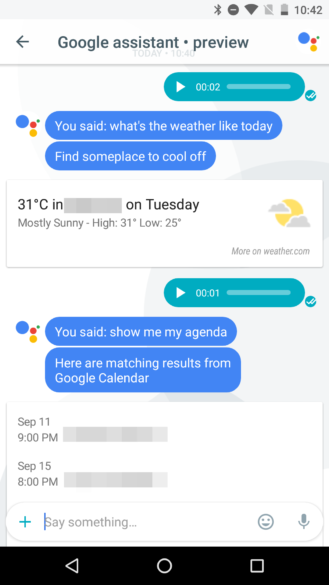 And even if the search results can't be loaded now, it doesn't seem like there'll be an error, instead Assistant will wait until the search is able to process and get back to you with an answer when it can. That's one of the benefits of the chat approach, and it's a major one. But it's worth pointing out again that this is based on limited tests with a preview version and the situation might be different upon Allo and Assistant's official release.